This assignment is due Sunday, January 18 by 11:59 p.m. In the essay "To Fashion a Text," Annie Dillard says, "The writer of any work, and particularly any nonfiction work, must decide two crucial points: what to put in and what to leave out." This course as a whole will be centered around the idea that every work of writing should be intentional, which is to say that every word, sentence, and paragraph should be carefully constructed to convey meaning to an audience. When writing with intention, we make hard decisions about what needs to stay in a story and what needs to go. to help me understand your style and level of writing. to help you begin to understand the concept of writing about the self. to practice "putting in" and "leaving out." Read Catherine Ramsdell's "Storytelling, Narration, and the 'Who I Am' Story." Write your own "Who I Am" story. The story should follow follow Ramsdell's guidelines. Your "Who I Am" story should be no more than two typed, double-spaced pages. I will evaluate it according to the guidelines that Ramsdell outlines in her essay, so be sure that you have a clear understanding of the points in her essay before completing the assignment. 1. 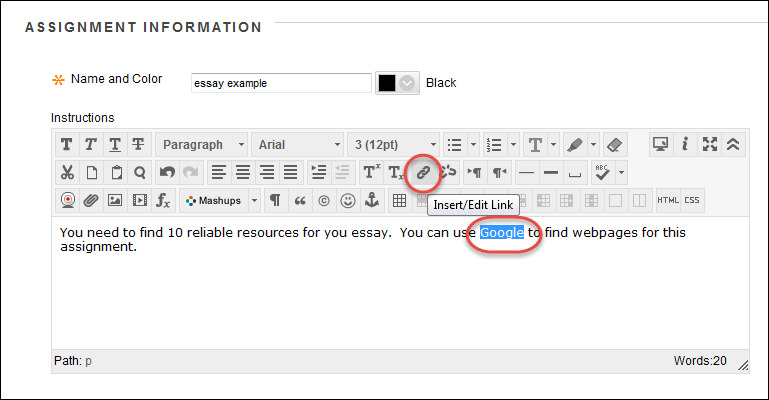 Write the essay in Google Docs. Once you have written the document, make sure to give the document a title. 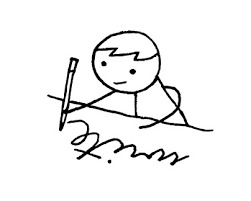 Then, do the following: Put the title of the essay as the name of the document. to do so, click the "Untitled Document" in the upper left corner of the Google Doc. Then rename the document and click "Ok."
2. Go to the upper right of the document and click "Share." Once there, click "Get Shareable Link" in the upper right corner. Copy the link that Google Generates. 1. Return to Blackboard and go to the 1.1 "Who I Am" Story Discussion Board. Create a new thread. 2. Write a brief statement that introduces your "Who I Am" essay to the class. Think blurb on the back of a book cover. Entice your classmates to read your story. 3. Add the link to your story as a hyperlink. If you just paste your link into the discussion board, it will not form a hyperlink. You must instead highlight a word or two that you want to describe your essay (the title of the story is a good idea). then, click the link button in the tool bar (it is in the center row and looks like a tiny chain). In the box provided, paste the URL from your story and then select for it to "Open in a New Window." When you have finished your initial post, click "Submit" at the bottom of the page. Then return to the original post (click on the title) and ﻿﻿subscribe to your thread﻿﻿ (see the instructions in the Week One Introductory Video). In Week Two, read and respond to several of your peers' "Who I Am" stories. The purpose of responding to your peers is to 1) practice close reading strategies and 2) engaging with your peers to discuss their essays (either the content or the choices that they made in those essays). Please complete your discussion of your peer's essays by Friday, January 25 at 11:59 p.m. (although not all of your responses should be on that day to allow your peers time to respond).